Is the sun giving you a hard time? How about you shade it out? If you’re looking for some quirky sunnies, or are looking to up your spectacle game, Lola’s Closet is a great option. Started by Priyanka Sawhney, Lola’s Closet helps you put your chic game on with a range of sunglasses, spectacle frames, and trendy bags. A Mumbai based high street e-commerce brand, Lola’s Closet is a wholly online space that delivers pan-India. 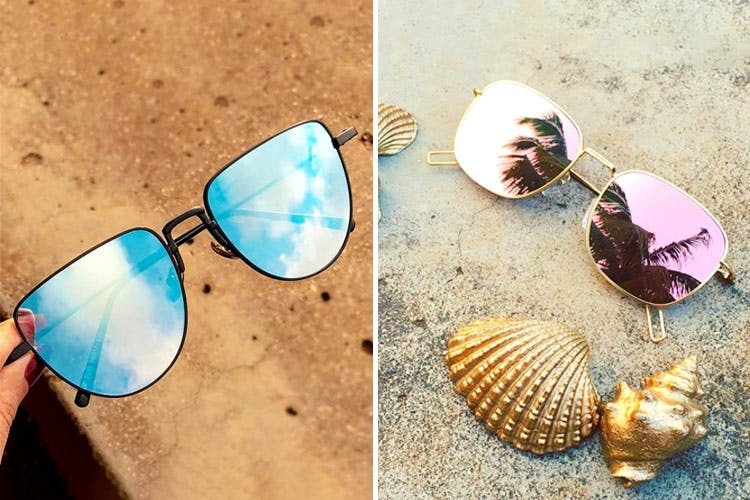 From caged cat eye sunnies (INR 500) to hexagon shades (INR 1,200), they have an entire range in terms of designs and colours, for both men and women. The affordable prices and the ease of online ordering make this a pretty obvious go-to choice. While you’ll save yourself the effort of getting lost between websites looking for the perfect design, you might end up bagging more than one pair to go with different things in your wardrobe (we still can’t get over how reasonably priced it really is). Want more? Well, they also deal in spectacle frames – round, rectangular, and cat eye, and bags; all apt for a stylish outfit for the summer. And if you get lucky, they also get an exclusive collection every once in a while, which has all things fun and bizarre.